A government minister has hit out at “aesthetically worthless” public architecture in the United Kingdom, and has vowed during his tenure as a Minister of State to “turn the tide” against Brutalism. Modernist architects have lined up to criticise his comments. Addressing a meeting of the Independent Transport Commission in his capacity as Minister of State for Transport, John Hayes MP said he was “challenging orthodoxy” by speaking out against the architectural establishment. Quoting the recently knighted conservative philosopher Roger Scruton, Mr. Hayes said: “The aesthetics of our built environment – including our transport architecture – has suffered from what Sir Roger Scruton has called the Cult of Ugliness. “Yet there are signs that we’re on the cusp of a popular revolt against this soulless cult, and we must do everything in our power to fuel the revolt”. While modernist architects have reacted poorly to his comments, speaking to Breitbart London traditionalist architect Francis Terry said: “I absolutely agree with the minister. If you look at the great railway stations of the 19th century — St. Pancras, the Grand Central in New York, now sadly gone — they were great structures, permanent in purpose. Modern stations are temporary, they are ephemeral. “I was staying in a hotel in front of Paris’ Gare du Lyon recently. There is one of these high-tensile steel structures by it, put up just ten years ago and already looking like it is going to fall down. Behind it the beautiful station, still solid and carrying on. 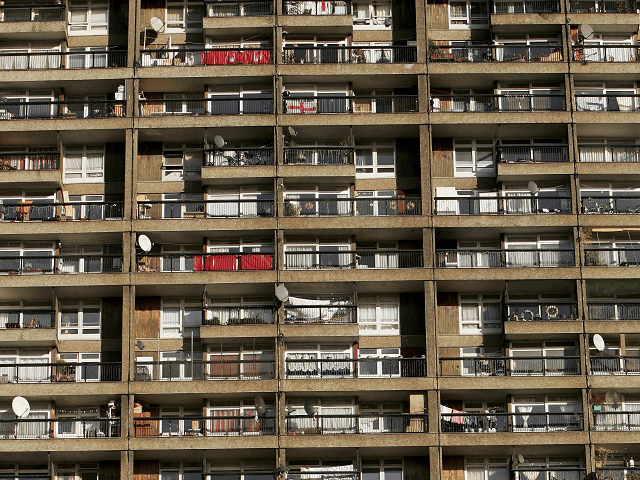 “The 20th century was great for human rights, literature, but not so for architecture. Sometimes you have to sit back and judge yourself, and admit you got it wrong. I’m very impressed at a government minister willing to go against the mainstream, especially given the Conservative party generally try so hard to look cool”. Signaling he would use his power as Minister of State for good, Minister Mr. Hayes remarked: “Now, because of the government’s colossal investment in new transport, we have a unique opportunity to be the vanguard of a renaissance”. While a minister for transport may have seemed like a strange place for an architectural revolution to begin, Mr. Hayes explained the reason why transport architecture matters so much is because “it is an architecture of the people. “Our busiest stations are used by millions every day. Their design has a profound effect on the well-being of those who pass through”. As a flagship project for his planned renaissance, the minister said the “totem” and “guide” for the plan was the move to “make good the terrible damage that was done to Euston, by resurrecting the Euston Arch”. 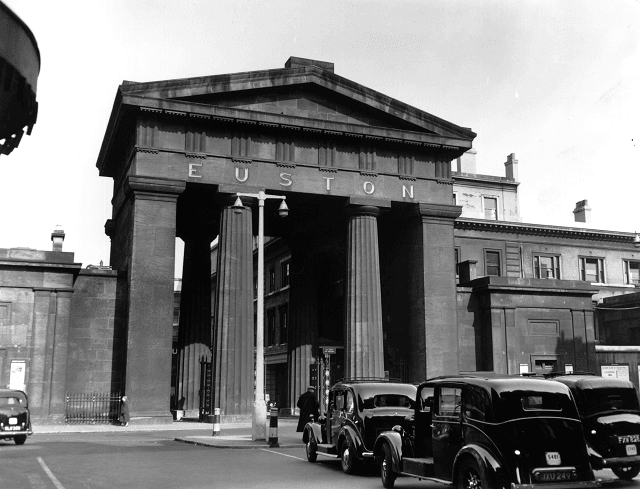 London Euston Station was built as the terminus of the London & Birmingham Railway in grand classical style in 1837. The majority of the structure was pulled down in 1961 and replaced by a concrete box of modernist design in 1967, much to the chagrin of architectural and cultural campaigners including British poet Sir John Betjeman. Although his campaign to save the Doric order station and propylaeum failed, he was instrumental in saving the Gothic revival St. Pancras station — then considered ugly and obsolete by the architectural establishment — but now well loved as the grand terminus of the France-Britain Eurotunnel railway. Of his plans to restore the Euston Arch from the same stones — dumped in a river and subsequently raised ready for repair — Mr. Hayes said: “What a statement it will be of the revolt against the Cult of Ugliness, of our new orthodoxy. We can and will turn back the tide. 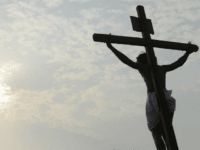 “My certain conviction is unwavering”. The minister said the plans would be coming together in the next few weeks. “For every person or minister who favours a particular architectural style or building, there is another with a completely different viewpoint or preference”. Research into the architectural preferences of average Britons disputes his claim however, and suggests instead the majority support the sort of buildings the government minister is calling for. A 2009 YouGov survey found 77 per cent of respondents when shown pictures of cutting-edge and traditional designs side-by-side and asked which they would rather were built in their neighborhoods, went for traditionalist designs. Architect Robert Adam said of the research: “This interesting result follows previous surveys which have consistently shown that traditional homes are more popular with the public”. “Being traditional is not living in the past; it‟s making sure that the present and past are connected. Architects are not interested in designing for the public and only care about what their fellow architects think – remember it‟s architects who hand out the architecture prizes. The survey reveals just how far architects ideas are from the public they are supposed to serve”. Analysis of the data of this research showed the results yielded very little variation, meaning respondents across region, age, and income groups all preferred traditional design. It may even be a sentiment secretly held by modernist architects — as noted by the Spectator despite their love of building concrete boxes, they tend to predominantly live in Georgian and Victorian homes themselves.